We will have tomato strawberry plants for sale at the West Tarring shop this Saturday. Come early as they will soon go! 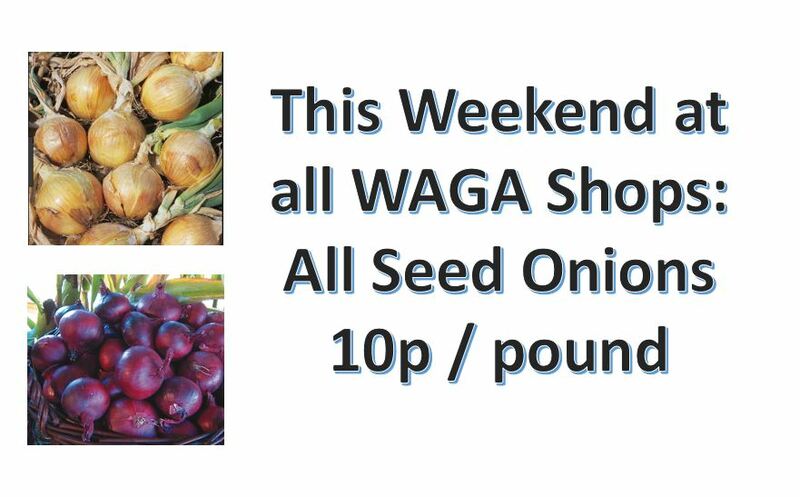 We have a few varieties of seed potatoes left in the WAGA shops which we will be reducing to half price this weekend - £1.50 and 50p. You will need to be quick as there aren't many and they will sell quickly! Mid week opening: The shops at West Tarring and Humber sites will be open from 5 - 7 during April and the shop at Chesswood farm site will be open from 6 - 8. We hope this will be useful for people who struggle to get to the shops at the weekend. We are organising plant sale/swaps at all 3 shops on Saturday 11th May during shop opening times. 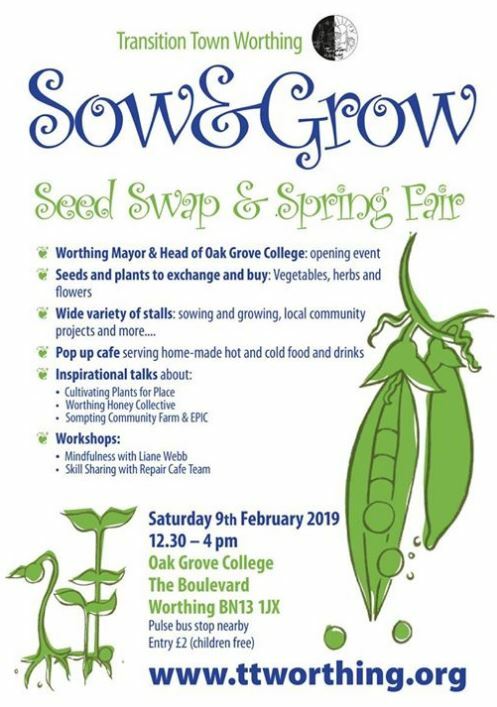 Please save any seedlin gs or plants you have for this and bring them along on the day. Any plants remaining will be sold on Sunday 12th. 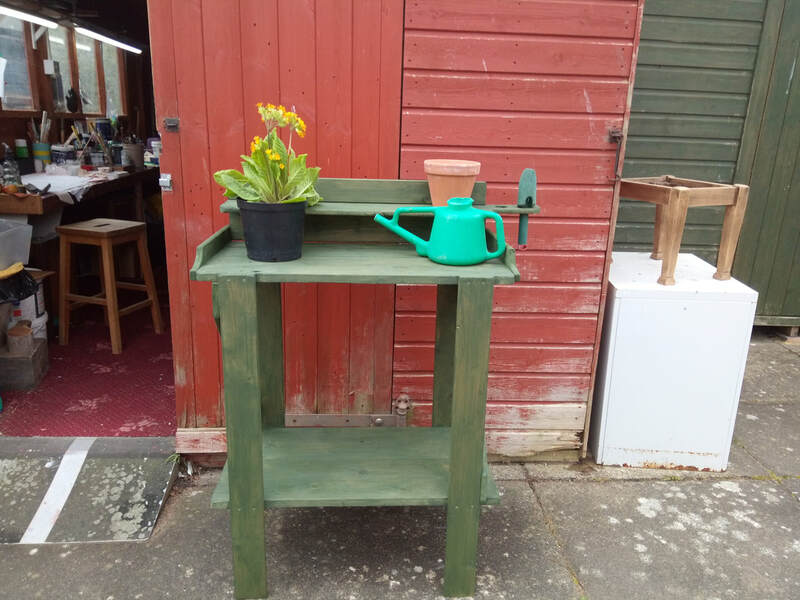 We can now sell you potting benches made by Men in Sheds using reclaimed or donated wood. They are only £25 and will be made to order. Come and see us at the shops to place your order. Shredded Paper can be brilliant if added to your compost. If you would like a free bag contact Janet on 01903 266522/07954146457. The 2019 Wisley trip is now SOLD OUT. Sometimes we get cancellations so if you missed the chance to book why not leave your details at one of the shops and if a place becomes available we will contact you. Mid week opening: All 3 shops will be open on Wednesday evenings during April to help out members who struggle to get to the shops at weekends. That is Wednesday 3rd, 10th, 17th and 24th between 6 and 8pm. We are organising plant sale/swaps at all 3 shops on Saturday 11th May during shop opening times. Please save any seedlings or plants you have for this and bring them along on the day. Any plants remaining will be sold on Sunday 12th. 04 March 2019: Reduced onions sold really quickly at the weekend, only a few left. Hurry along on Saturday to buy the last few remaining. 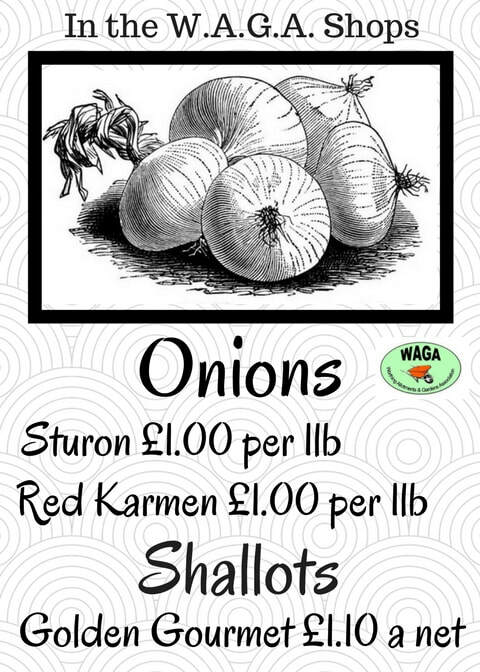 01 March 2019: This week we will be reducing the price of all remaining onion and shallot sets to 10p per bag!! What a bargain if you haven't already bought your sets. Dont miss out as Im sure they will soon sell at that price. This year's WAGA outing is to the RHS flagship gardens at Wisley in Surrey on Saturday 15th June. This is a wonderful place to spend a day and this year the new Visitor Centre is open and the exotic garden is now fully developed into a "must see" attraction, as is the enormous glasshouse. We have chosen the 15th June as this is the weekend of the "Specialist Plant Show" where RHS Plant Societies will put on a wonderful display of all manner of flowers, fruit, vegetables and trees, with experts on hand to tell you what you have been doing wrong all these years. This really does seem to be a special day and for WAGA members and guests it is free! More than that we each get a £5 voucher to spend in the shop or plant centre, subject to a £30 minimum spend. All you pay is £12 per head for the coach to take you there and back. 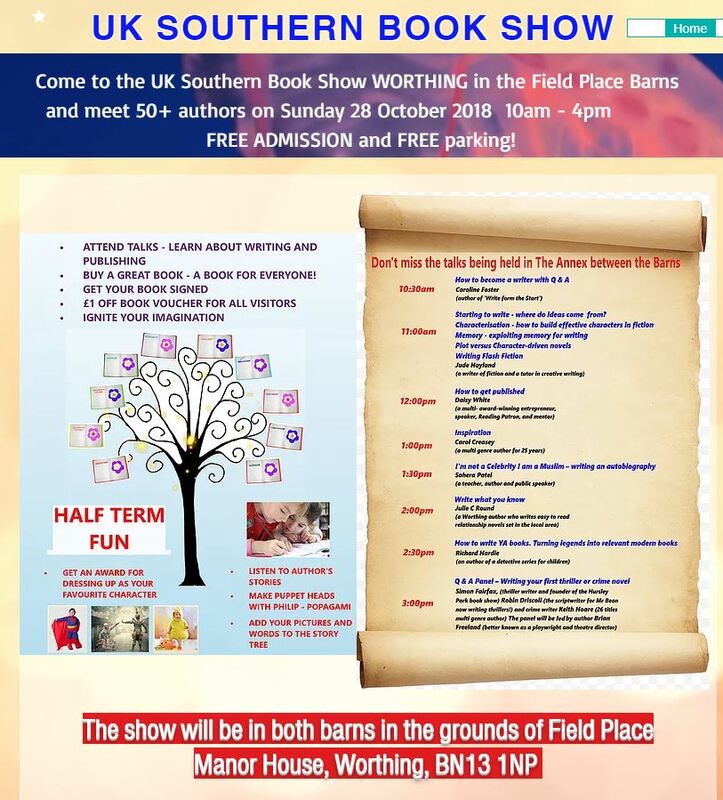 There are seven pick up points around Worthing, starting at 9.00 am and leaving Wisley at 4.00 pm, getting you home at about 5.30 pm. The three WAGA shops are handling the bookings so take your money along there and get in quick before the coach fills up. If it is impossible for you to get to a shop then ring 07931740349. When you book you must state your chosen pickup point from the following. 9.00 St Symphorians Church, new Road Durrington. 9.05 The Boulevard/Strand, opposite Westmorland House. 9.25 East Worthing, Chesswood Rd./Ham Road corner by the church. 9.30 Broadwater Green, southern bus stop in Broadwater St. West. All bookings must be received by 1st June 2019 but we will keep a reserve list if anyone cancels. Cancellations cannot be guaranteed a refund after 15th May. The Annual Dinner was held at the Indoor Bowls Club, Field Place on 16th February and, as usual, was a really enjoyable evening. Good surroundings, good food, good company, a real fun quiz and raffle of some super prizes. The only problem is that you, almost certainly, were not there! We have over 500 members but only 20 were there, along with partners and guests a total of 42. Enough for a good evening but we should have been sold out twice over, after all, eating out is the nation's favourite leisure pastime. Your Committee worked hard to put on this, the main social event of the year but sadly it was rejected by 96% of the membership. We would really like to know what we are doing wrong and how we can persuade you to come next year. Please let us have your views. It may be a long way off, but it is never too early to start thinking about our Annual Show, 31st August at Oak Grove College. Put a note in your diary and make sure you come. The committee are working hard to make this year even better than before, so think about how you can help. If you have not entered a show before, make this year the first of many, it really is fun. Be generous, show us what you can do. Fruit, vegetables, flowers, flower arranging, cooking and lots more, and there is a separate section for novices to help you get started. In the Spring the show schedule will be in the shops, pick one up and plan your campaign. Our's is a show for everyone. Please don't miss it. Thank you to those who have already renewed their membership and received their new improved membership card! 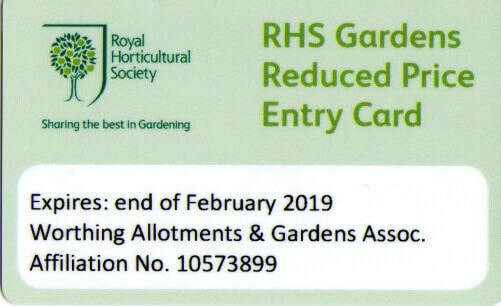 It is so easy to re-join when visiting the stores to purchase soil improvers, seeds onion sets and all those odd items but please remember that we are not allowed to trade with non-members. You are still legal until April 30th. If you have changed your contact details or are willing to receive bulletins and “Plotholder” by e-mail, then please give the store the information and they will pass it on to me. Thank you. And don’t worry about finding your old card and number, we will give you a new one this year. In addition to the large bags of seed potatoes which we always stock, this year we have 4 varieties which are available in smaller bags containing 5 potatoes. These are on sale for only £1 and are ideal for people who only want to grow a few potatoes or who want to have a selection. Varieties available are: Rocket, Osprey, Jazzy and Vivaldi. Are you concerned about the local countryside? Would you like to get involved with practical conservation tasks, such as coppicing, scrub clearance, tree planting and pond management? Worthing Conservation Volunteers meet up about every three weeks, usually on a Sunday at various sites in the local area such as High Salvington, Northbrook Pond, Hillbarn Woodland, Lancing Ring and with the National Trust at Cissbury Ring. A couple of times a year we also help maintain the sandy heath at Fittleworth Common. Work parties begin at 10.00am and we leave by 3pm, you would be welcome for just a couple of hours or the entire session as all contributions make a difference. Guidance is given to learn different skills and all tools are provided. For further details and the venue for the next session, please contact Jay on 01903 762064. All 3 shops still have Santero onion sets, red onion sets and shallot sets for sale at really good prices. Santero onions are resistant to Downy Mildew and are quite difficult to source elsewhere. We are selling them for £2 for 1/2lb bag. Our red onions and shallot sets are also in 1/2lb bags and on sale for only £1 per bag. 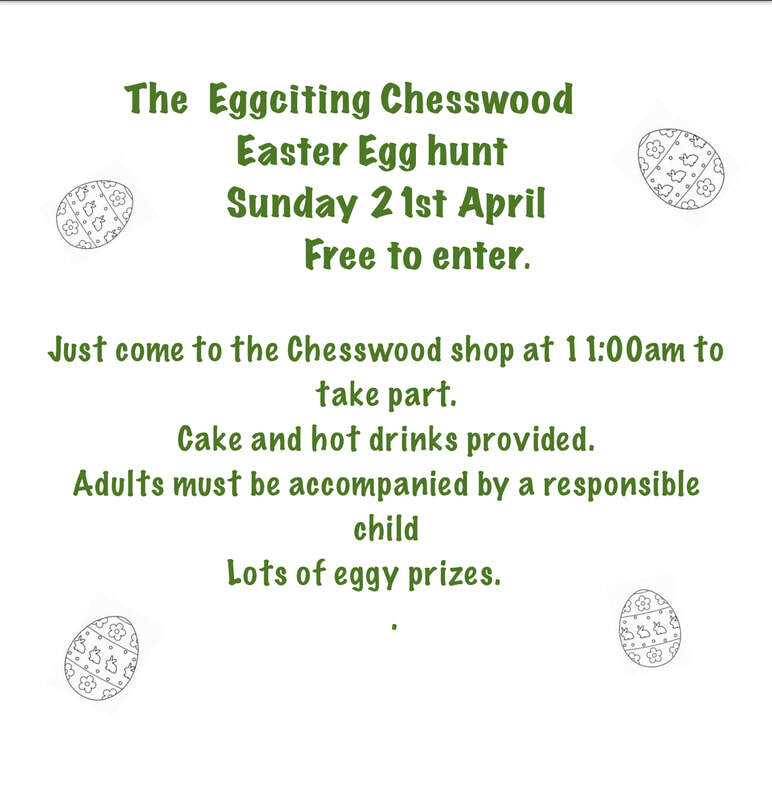 The shop at Chesswood Farm site will now be open on Saturday and Sunday mornings between 10am and 12am. There is a wide range of high quality seeds at extremely good prices, approximately 1/2 the price you would pay elsewhere. They have seed potaoes in 2.5kg nets for £3 and in small bags containing 5 potatoes for £1, this is ideal for people who only want to grow a small amount or for people who want to grow a mixed row. We have Santero onion sets at £2 which are resistant to Downy mildew, red onions and shallots both at £1. All are sold in 1/2 lb bags and are very good value. If there is anything which we dont currently stock which you feel would be popular let the shop staff know or get in touch with Richard Lawson or Janet Robins. 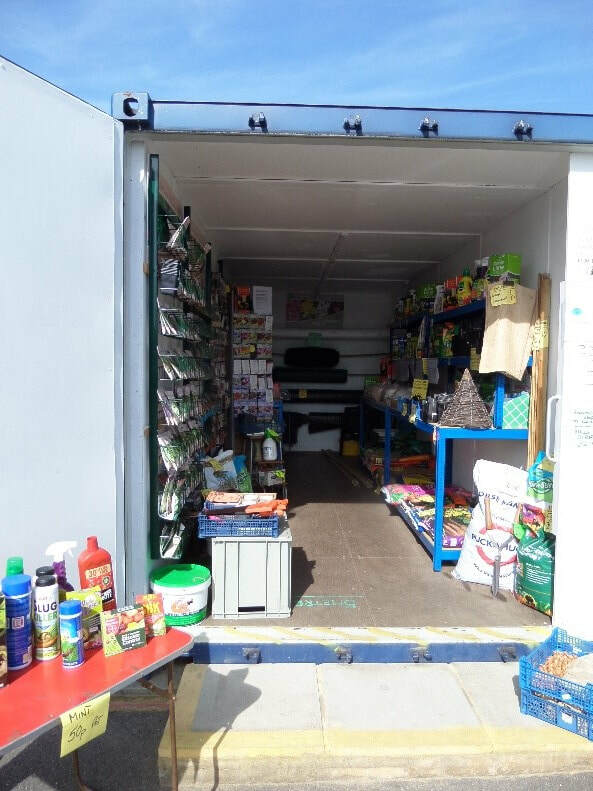 The Veg and Seed list has been updated with the items that are new for the 2018 / 2019 season. 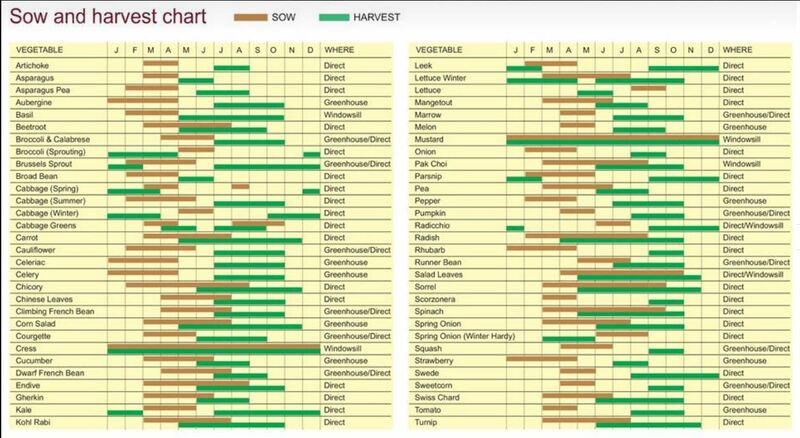 Kings Seeds when to Sow and Harvest Chart. Download pdf by clicking on link below. 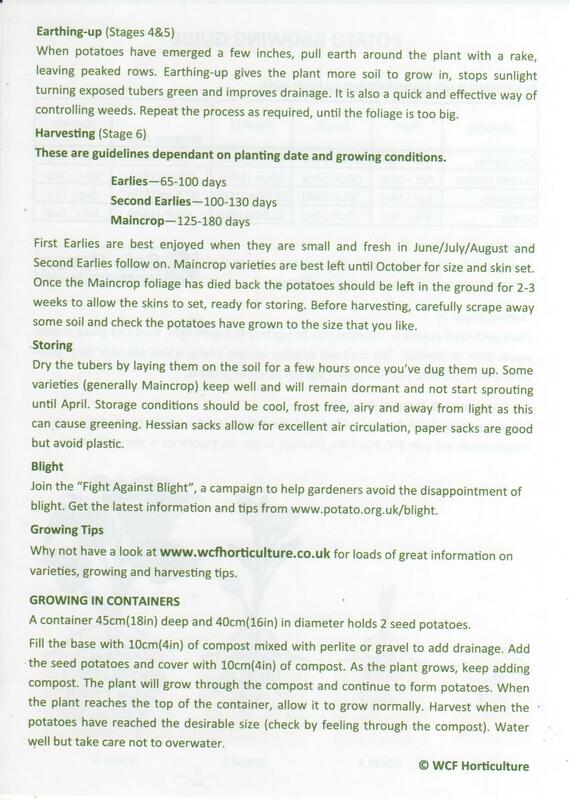 This seasons seed potatoes will be in the shops this weekend. If you have pre-ordered we will have your order set aside, but if you haven't we will have a good range of stock for you to buy. All nets will be £3 which is really reasonable compared to other sources. Dont leave it too late as these sell out really quickly. Care of seed potatoes and onion/shallot sets: When you get these home remove them from the bag/net and set them out in a cool, not too cold room out of direct sunlight. Egg boxes are ideal for potatoes. 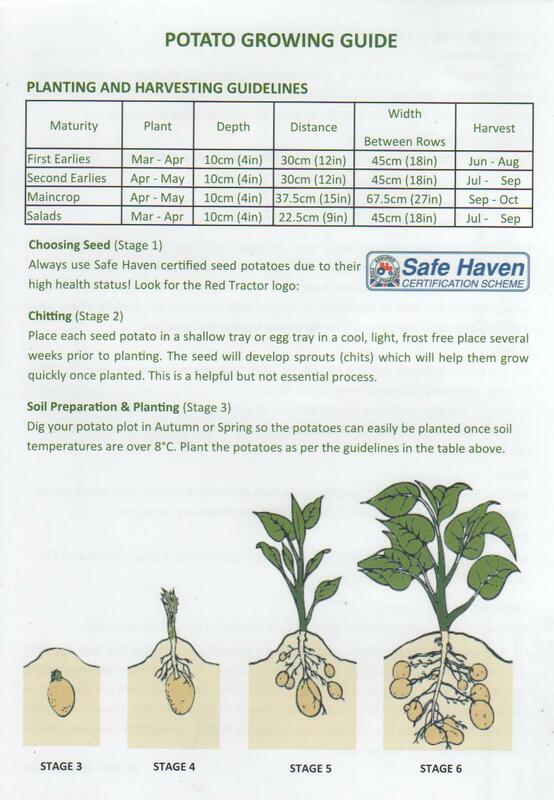 Potatoes will start to chit (grow shoots) fairly soon ready for planting when the soil warms up. After many requests we have decided to stock a small range of organic seeds at the West Tarring shop. chese include: dwarf and climbing french beans, runner beans, beetroot, cabbage, courgettes, cucumber, carrots, leeks, lettuce, peas, radish, spinach, butternut squash and tomatoes. The prices are very reasonable, mostly £1. If this proves popular we will get in a wider range next season. The spring planting sets will be available in the allotment shops from Saturday 19th January (Sunday 20th at Chesswood Fam). Red onions and shallots will be sold at £1 per 1/2 lb bag and the white Santero onions, which are disease resistant will be £2 per bag. It is not yet time to plant these, but a good idea to buy them soon as we only have a limited stock. See you at the weekend!!! 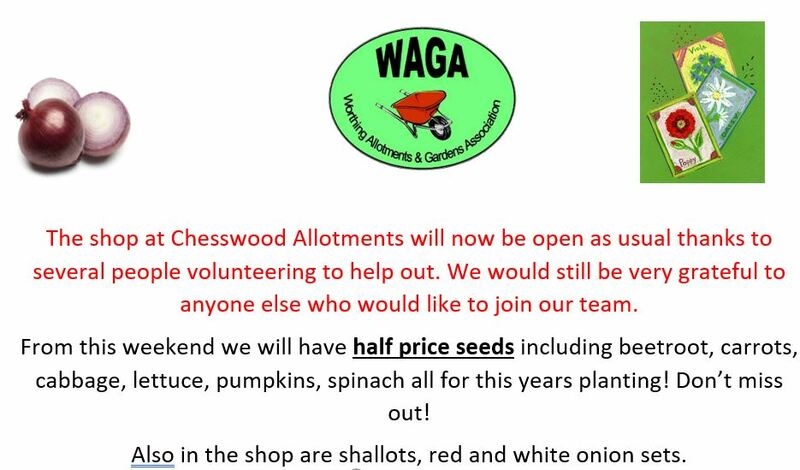 The shop at Chesswood Farm site will only be open on Sundays between 10 and 12 during January. In February it will also be open on Saturdays. We would like to wish a very Happy New Year to all of our lovely volunteers and customers. We would also like to say a big thank you to John Sadler who has run the shop at West Tarring for several years. John has decided to stand down from this role so he can have more free time. 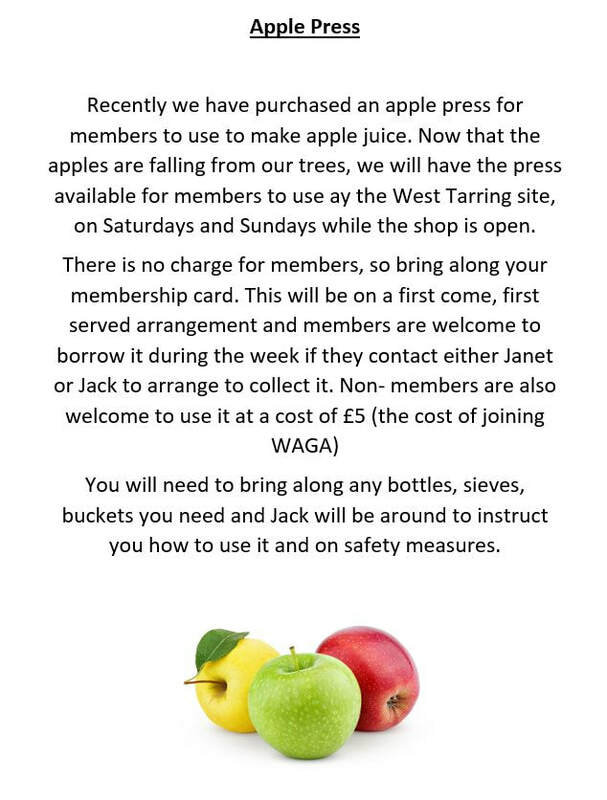 He transformed the shop into a welcoming well stocked place which members enjoy visiting. He has given his time regularly most weekends and for numerous hours during the week keeping it clean, tidy and orderly. He will really be missed, but has agreed to still cover some duties. The shop will now be run jointly by Angie Hewitt and Janet Robins. It is now too late to pre-order seed potatoes, but dont worry when they are delivered at the end of the month there will be plenty to choose from. We will let you know when they are in the shops via this website/Facebook/noticeboards. From: Department for Environment, Food & Rural Affairs, Health and Safety Executive, and The Rt Hon Michael Gove MPA ban on the outdoor use of metaldehyde, a pesticide used to control slugs in a range of crops and in gardens, is to be introduced across Great Britain from Spring 2020, the Environment Secretary announced today (19 December). Reminder that the last date for pre-ordering your seed potatoes for next year is Sunday 23rd December. Have you ever wished that the Website could send you an email when the News page changes? The December Pub night clashes with boxing day so we have decided to reschedule it to Wednesday 19th of December. All 3 shops now have a wide range of new seeds for next season. Lots of choice, lots of new varieties, lots of disease-resistant choices. Come and have a look, why not visit all 3 shops as they all have different choices. make a list and give yourself a pre-Christmas treat! These will soom be starting in the shops. Lots of lovely prizes, only £1 per strip. 2019 WAGA Dinner now taking bookings. There was a really lovely atmosphere at the auction on Saturday. The sun shone and everyone had a good time! Lots of heavy bidding especially for the greenhouse which was a fantastic buy for the lucky lady who secured it. A big thanks goes out to Chris who ran the bidding like a pro and to Julia for providing delicious refreshments; best coffee and walnut cake ever!! The bidding made a fantastic£186 for WAGA funds. Christmas raffles will be starting soon in all 3 shops. £1 per strip, lots of lovely prizes. If you are coming to the auction tomorrow please remember to bring cash or a cheque book if you intend to bid. IOUs will not be acceptable as payment. Regards Dab. The WAM working party at Chesswood Farm site have been busy cutting back their willow trees. There are plenty of willow whips available for anyone who wants to do some willow weaving or to use it at home to make a living bower or arch. They have left an assortment of whips between the shop buildings at West Tarring site for people to help themselves. Anything left after a couple of weeks will be removed and burnt. If you would like to learn how to make a simple climbing plant support using willow Janet would be happy to show you how. Just give me a ring on 01903 266522 and we can arrange a time during the 2 Saturday mornings. Please note WAM are not keen for people to make living willow structures on their plots. The onion and shallot sets for next spring have been ordered. We have been able to order Santero variety which are resistant to onion rot, but will be more expensive than the red variety on sale. Red onions and shallots will be £1 for 1/2 lb bag and Santero white onions will be £2 for 1/2 lb bag, still very good value. These will be on sale in all 3 shops from beginning of February 2019. We will be having Christmas raffles in all 3 shops and would be very grateful for any prizes donated by members, just bring them along to the shop you use the most. Tickets will be on sale from Saturday 1st December and will be £1 per strip. Raffles will be drawn on Saturday 22nd December at 10.30. There is still time to pre-order your seed potatoes. All shops have copies of order form. You need to leave payment with your order, only £3 per variety. Delivery of potatoes will be end of January/beginning of February 2019. When they are in shops we will post the website/Facebook and noticeboards. New seeds for next season are about to be ordered. If you have anything which we do not currently stock, which you would like to see in your favourite shop please let Janet know. 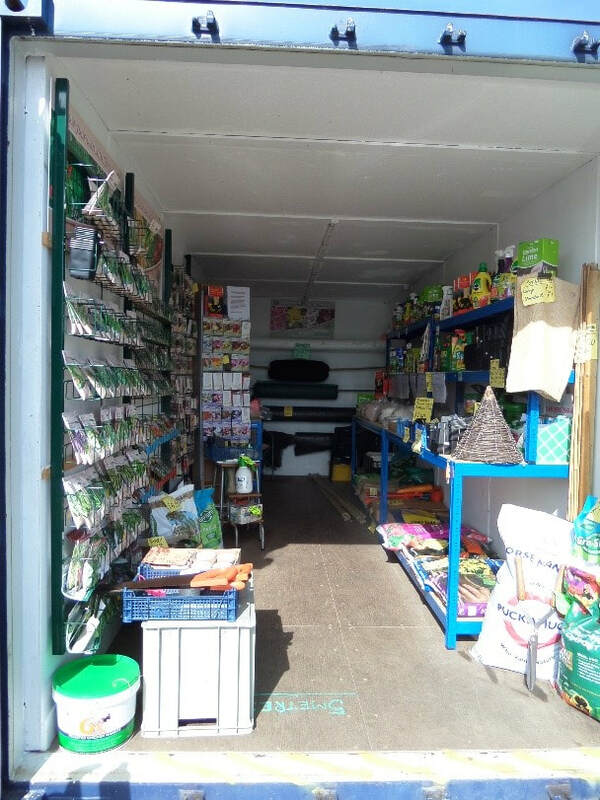 When seeds are delivered and in shops we will let you know via the website/Facebook/noticeboards. Scrace, published author and WAGA member will be attending this event. John and Sarah Scrace and we will have some of their lovely honey for sale in the shop at WT from this Saturday. It will be in 1/2lb jars and cost £4 with 50p per jar coming to WAGA. They have just won 1st prize for it at the Sheep Fair. We regret that the garlic order has been delayed and wont be in the shops for another couple of weeks. SHOPS > Product Information > Potatoes. Don’t forget to attend the WAGA AGM on Wednesday 21st November at Chesswood Junior School, Chesswood Rd., BN11 2AA, starting 7.30 pm and ending with wine and cheese for a relaxed chat with fellow members. Hear what is happening then tell us how you would like us to plan for next year. The annual dinner is booked for Saturday 16th February at the usual venue (indoor bowls club). Menus will be circulated in the Winter Plotholder edition, with a booking form, which should be returned to the any of the shops with a cheque enclosed to book. Our agreements with Worthing Borough Council and HMRC require us to only trade with card carrying members. Our shop staff cannot be expected to know every person that uses the shops so please do not be offended if they ask to see your card. If you renew your WAGA membership by 30th April each year it costs £3 but if you wait until May 1st you will need to pay a £5 re-joining fee. Each paid up member has one vote at the AGM, receives one copy of our newsletter, can attend any of our social events and the Annual Show and may purchase items from the stores. Other members of the same household (over the age of 18) can borrow the membership card and use the store too, but not co-workers and friends. They need to join on their own account. Our "Great Village Show" is at Oak Grove College again this year on Saturday 1st. September. This is later than usual to avoid clashing with the Worthing Horticultural Society's summer show. You can find everything you need to know in the show schedule, copies of which are now in our shops, so pick one up and get involved. It is our main event of the year and has something for everyone, fruit, vegetables, flowers, flower arranging, cooking, craft, photography and wine. If you are new to shows, that is no problem, we have a novice section just for you, so please take part it really is fun. As usual we have a section for children, so please make sure your children and grandchildren take part, we know they love it. There will be all the usual sales stalls and the refreshments will again include tea and homemade cakes and a barbeque. As usual, the award winning gardens will be open for you to stroll around and the children's play area will be available to keep the youngsters amused. Of course, a big event like this relies on many willing hands, and although we have a wonderful team, we always need more hands to spread the load so if can help in any way for part of the time please ring me on 01293 243216 or e mail jackpowis@hotmail.co.uk. I look forward to hearing from you. Autumn planting onions and garlic have been ordered and will be in all 3 shops from end of August/beginning of September. This variety produces red onions which may contain some pink off types. Originating in the region of Northern Spain. Cultivated in a much cooler climate than most Spanish garlic, it grows well in the UK. We recommend this garlic for its growing vigour, size and fat juicy cloves. 8-10 cloves per bulb. Exceptional, pink cloved hardneck showing great vigour in UK climate. Good skin cover, great strength and carry through coupled with superior (in our opinion) bouquet and character. 12-14 cloves per bulb. Originating from the Cordoba region of Spain. Has large white skinned juicy cloves with good keeping qualities and excellent flavour. Harvest from June. Keeps until January.. 10-14 cloves per bulb. Bright white skins with fierce and spicy flavours are the signatures of this exotic hardneck from the Czech Republic. Plump purple cloves and hotter and stronger than any of the commonly planted garlic in the UK. 8-10 cloves per bulb. Can grow to 150mm across and weigh over a kilo. It has a warm mild garlic flavour and is increasingly popular with those who like to make a statement in their cooking or impress fellow growers. 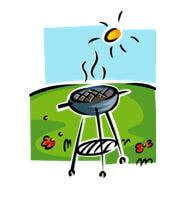 Don't forget it 's the West Tarring BBQ on Friday 20th of July. 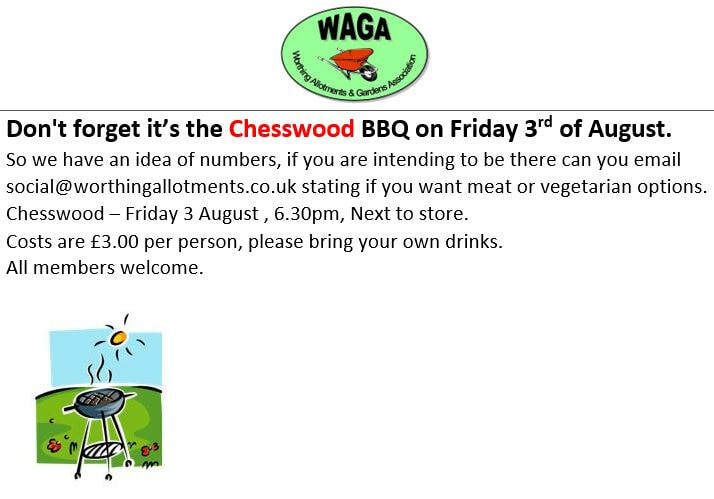 So we have an idea of numbers, if you are intending to be there can you email social@worthingallotments.co.uk stating if you want meat or vegetarian options. West Tarring – Friday 20 July, 6.30pm, Plot 90. Costs are £3.00 per person, please bring your own drinks. The latest edition of Plotholder is now available. 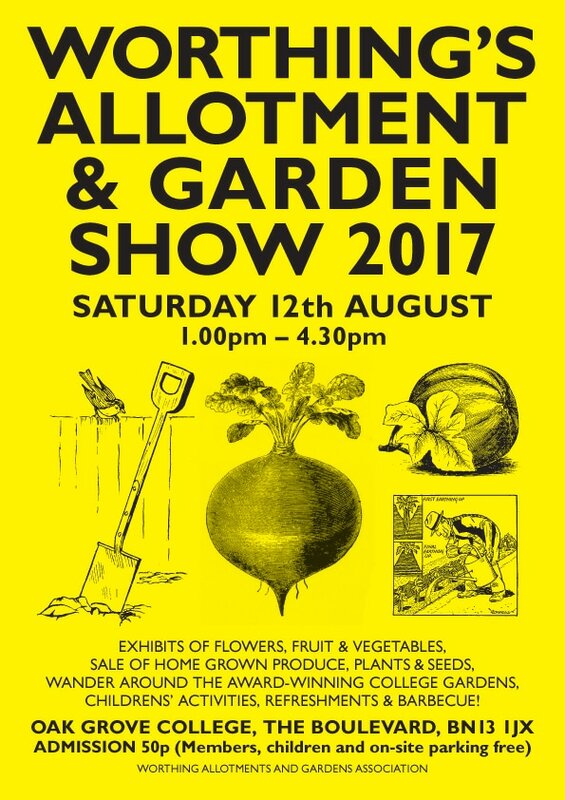 Please note entry forms for Best Kept Garden & Best Kept Allotment are at the bottom of this edition. Boarded so easier to repaint inside. ​Pictures of current Humber Road Shop. There are many good plots out there that the judges would love to see and as we are an Association of gardeners there must be plenty of inspiring front gardens waiting to win the cash prizes. For gardens, the judges take into account the condition of plants, colour and harmony, design and layout, lasting potential and cleanliness (weed free). On allotments they look at quality of crops, condition of plot eg weed free, environmental approach to production and diversity of crops. Please have a go, it cost you nothing and the odds of winning are high. The application form is at the end of this edition and the closing date is Sunday 1st July. The WAGA Committee would like to thank Paul Eustice and Rik and Lorraine Pease for all of their hard work on the committee and in the WAGA shops. They will all still be about but focusing on WAM projects. The Committee would like to welcome back as Acting Chair Ian Dunster. ​With great regret, we have to announce that Graham Strong, Treasurer and plot holder at Humber, passed away in May 2018. Graham was cared for at St Barnabas Hospice and should you wish to make a donation this would be a good choice. I am sure by now you will have heard of these new regulations that came into force on the 25th of May 2018. 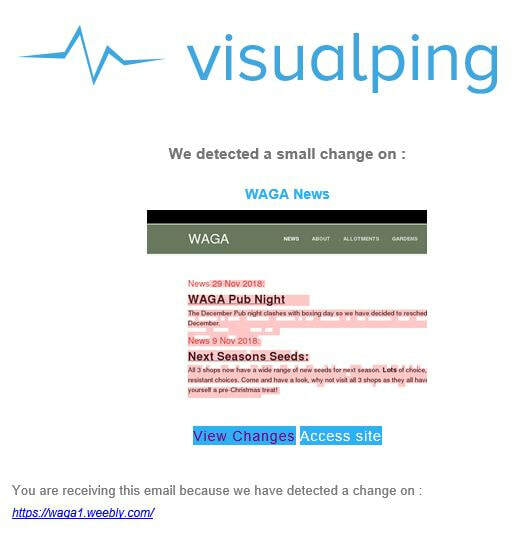 Possibly you may have wondered why you have not received an email or a letter from WAGA asking you to tick or sign something. Fortunately for and Association like WAGA we can use the legal basis known as “Legitimate interest” which means we don’t need to email our existing members for new consent. We need to store your data in a secure fashion (password protected) and only keep it as long as we legitimately need it. We also need a mechanism that allows our members to unsubscribe from communications or ask us to never contact them again (Please don’t do that). There are a few other bits and pieces but nothing to arduous. That is about it, so not so bad really. At the moment there is lots in the news about the blight of plastic and lots of pressure on us all to use it less and recycle it where possible. Since getting an allotment, I have noticed ways in which people are very creative with unwanted materials and thought it would be interesting to find different ways of using plastic rather than discarding it. 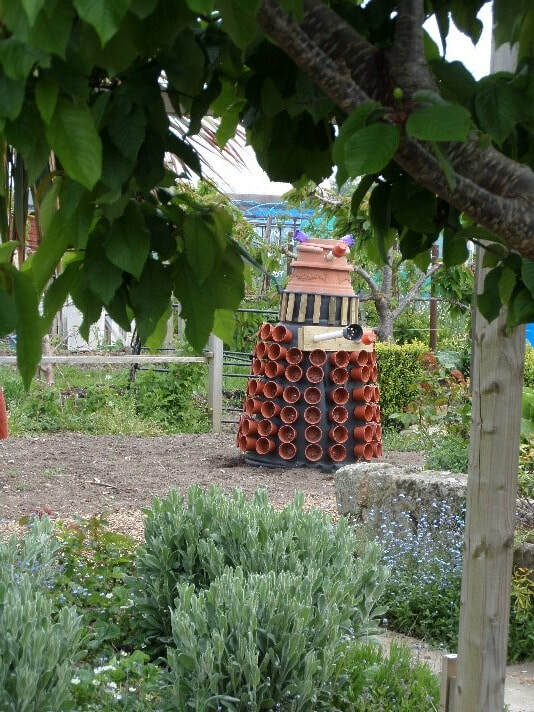 At West Tarring allotments we have several examples of this, some practical and others which are really creative. I thought it would be interesting to share these and ask other people to pass on other useful ideas to our members. >You can line a compost bin with used compost bags. This helps the bin to heat up and create compost quicker. >You can use plastic bottles as cane toppers. ​> You could use milk cartons as an irrigation system in pots, meaning you can leave it longer between visits. ​> You could be truly creative and create sculpture! ​If you’re not ready to give up on Metaldehyde slug pellets (The blue ones) here is another way to recycle plastic. Make a slug trap. The top is from a fruit juice bottle. The pellet holder is a milk bottle cap. Both threaded onto a six-inch nail and are separated by some transparent tubing. The top shields the pellets from the rain so no blue liquid forms and the pellets can last for a couple of months. It works very effectively with just for or five pellets and if used in a netted area there is very little chance that poisoned slugs will be eaten by birds or mammals. ​WAGA can offer our members a 30% reduction on visits to all four RHS Gardens at Harlow Carr, Hyde Hall, Rosemoor and Wisley with Reduced Price Entry cards. Now is the time when we all become obsessed with protecting our plants from and getting rid of a variety of nasty pests. Top of the list is always slugs. We all hate them and they can do terrible damage which is so frustrating. What is also awful is the damage we can do to our local wildlife if we use non-organic ways of treating this problem. At Chesswood Farm site, they recently found 3 dead hedgehogs. These may or may not have been poisoned by people using ordinary slug pellets. You can always tell if non-organic pellets have been used as the ground has dead bodies and lots of nasty slimy mess! These dead slugs will be eaten by hungry birds who take them to their nests, or by hedgehogs looking for food. It would be so much better all round if they caught live slugs to eat and then they would live to do the same the next day! If you use organic slug pellets, the slugs go underground to die, so no dead bodies and no nasty slime! Don’t believe people who say these products do not work. I have been using them for the last 10 years at the allotments at West Tarring and they are very effective. You can also use other products to invigorate your plants to make them more resistant to attack. We sell several organic alternatives to tradition products in all of our shops. Although, other products may be cheaper to buy, if you encourage wildlife safely to your plot it will help you by eating unwanted bugs and pests week after week. Using organic pellets is the best way to avoid the unintentional poisoning of Hedgehogs. There are 2 types of chemical used in blue pellets Metaldehyde and Methiocarb. The less common methiocarb is about ten times more poisonous than metaldehyde, thus posing far greater danger to other animals, so avoid those. Research indicates that Hedgehogs are not likely to be harmed by eating slugs that have been poisoned by Methaldehyde, (see study @ https://ptes.org/hedgehog-papers/gemmeke-1995-hedgehog-metaldehyde-pesticides-secondary-poisoning-slugs/ ). The problem is more likely to be caused by poor application of the poison by placing it in piles where large quantities can eaten directly or it could become stuck to a food source such as bread or the body of a dead slug. Due to an extremely bad weather forecast John and Sarah have decided to cancel Easter Monday Afternoon tea and cakes at West Tarring allotments. The association is celebrating 70 years! Commemorative mugs are available in our shops for £4.00. There will be some slabs delivered to the West Tarring site this week. They will be near to the shop. Please help yourselves, but we would appreciate a small donation towards petrol used for delivery. Just bring it along to the shop. From this weekend the remaining seed potatoes will be £1.50. Hurry whilst stocks last as there won't be anymore until next year! 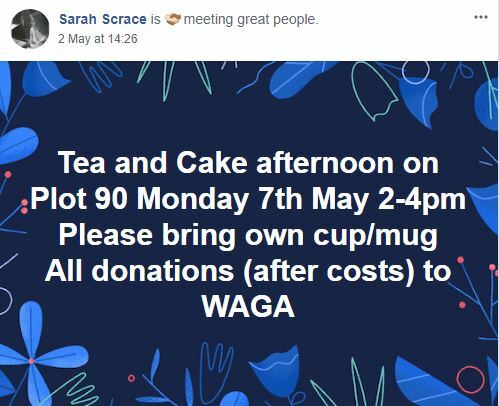 Sarah & John Scrace will be holding a tea and cake afternoon on Easter Monday on Plot 90 West Tarring site from 2-4pm. Please bring own cup/mug if possible. All welcome but weather permitting, will only cancel if heavy rain or snow! Important notice for anyone who sourced Winston seed potatoes from the WAGA shops this year. Our supplier has advised that their stocks of this variety have had to be withdrawn as the potatoes are infected with a fungal disease. The potatoes should be burnt or thrown away, do not add them to your compost heap, and if you've already put them in the ground then it would be wise to lift them again. This only affects the Winston first earlies, all other varieties are safe to use. Due to the weather conditions please be aware that the Association shops may close early this weekend. News 05 October 2017: Frangipani anyone? Message just come in - James is local to Worthing and has a collection of Plumeria Rubra which he wants to extend, hoping to make a national collection. He now has 9 different varieties and would supply plants to enthusiasts. Propagating and growing these plants in our climate is difficult but he would advise. ​News 14 August 2017: Free Talk. On Wed October 4th, 7.30 pm. at Field Place, Neil Helyer, the Integrated Pest Management Specialist at Fargro, will give a talk on Pest Control. Members free, non-members £1. Book a place by email chair@worthingallotments.co.uk or ring 01903 529084. News 02 August 2017: 26th August West Tarring BBQ. As we had to cancel the ceilidh on 26th August we are instead holding a BBQ on that day at Tarring, starting at 7pm. As usual, we don't take money in advance in case it is rained off but need to know how many carnivores and vegetarians might attend so we can prepare supplies. Please send expressions of interest asap to chair@worthingallotments.co.uk, stating how many and whether you require a vegetarian option. Also pass it on to anyone without facebook access or a tendency not to read notice boards. Cwd may follow around November 5th but we'll let you know. News 02 August 2017: Association Shops. News 02 August 2017: Visits for next summer. We are considering a cunning plan for next July. A large group - perhaps a coach taking 50 people, can visit Loseley Park during the day. This could be quite cheap - perhaps £5 plus coach fare, A smaller group - maximum 20 - can combine this with a visit to Hogsback Brewery just along the road. That would be more expensive at an extra £15 but include a sampling session. The brewery group would start innocently at the gardens, slide off for their extras then slide back again a couple of hours later in time to take the air and rejoin the main party before being be driven home. To secure places we need to book in advance so what we need now is an idea of how many people would (a) be interested in Loseley park (b) be interested in the brewery addition. We won’t ask for money yet and won’t hold you to it at this stage, but we need a fair idea of serious interest to take the gamble. News 21 July 2017: Tiller for Hire Humber. Please enquire in the shop if you would like to hire the tiller for your plot. News 06 July 2017: Russian sunflowers appeal. News 29 May 2017: The Great Village Show 2017. This years show will be held at Oak Grove College on Saturday 12th August, 1pm - 4.30pm. The schedule has been added to the show section. AL-KO Farmer MH5001-R Cultivator Rotavator fitted with a 4 Stroke Briggs and Stratton Engine. A selection of soil additives including, Sulphate of Ammonia, Sulphate of Potash, Superphosphate, Growmore, Bonemeal and Blood Fish and Bone , are available from the shops, click button for more details.